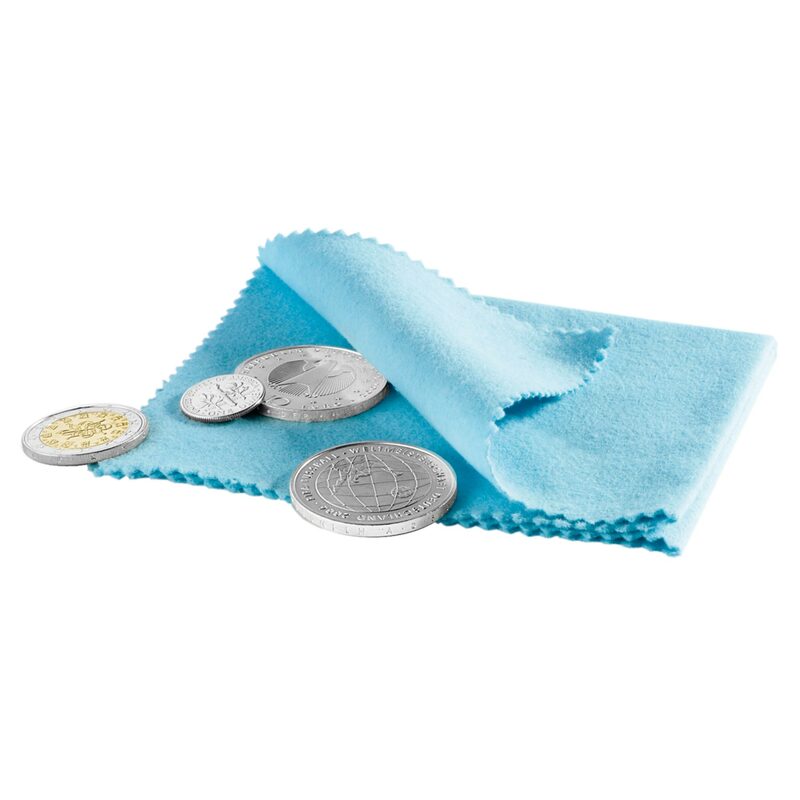 This coin polishing cloth is finely woven and impregnated to make heavy dirt and tarnishing disappear with easy rubbing. Ideal for cleaning 'used' coins in circulation. Also suitable for cleaning jewellry and cutlery. It should be noted that 'proof' or 'proof-like' coins should generally not be cleaned in order to preserve their value.